Just 30 miles north of Tampa, Guy Harvey Outpost Club & Resort Collection’s new 66-acre outdoor hospitality residential and resort community includes a full-service fishing/watersport center, 70 upscale cottages and 270 fully-outfitted RV lots in a coastal wilderness along the Anclote River Park, adjacent to Tarpon Springs. 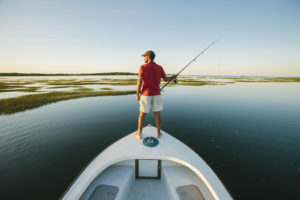 Community residents and guests have access to The Outfitter’s guided fishing charters and exclusive nature adventures courtesy of FlatsClass TV-host and pro-angler Captain C.A. Richardson, who serves as program director. The Nature Discovery Center and Guy Harvey Theater offer interactive and educational nature and marine-life activities.